We love helping our clients grow their business, and we pride ourselves in our incredible client retention rate. Our goal is to be the go-to digital marketing specialist for all of our clients, no matter their marketing needs. 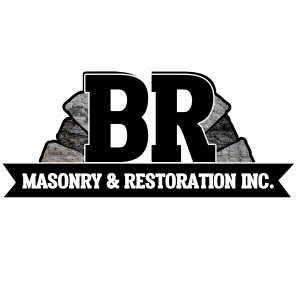 We’ve been working with the owner of BR Masonry & Restoration Inc. for years, ever since we built them a brand-new website and created an eye-catching logo for them. So, when Rob approached us about expanding his following and increasing website traffic, we knew exactly what to do! We’re excited to announce BR Masonry as a new member of the SurfYourName Social Media family. BR Masonry is a full-service masonry contractor specializing in restoration and home repairs. They service Hamilton, New Jersey and the surrounding area and they’re known for providing high quality work, incredible professionalism, and outstanding customer service. BR Masonry offers a uniquely blended array of services tailored to each individual project. They will assist you in designing, giving new ideas, and finding the most economical route to plan new projects, re-vamping failing systems, giving a fresh new look, or addressing structural concerns. BR Masonry started out with several social media accounts, so the first thing that we had to do was consolidate everything and figure out which one to stick with. After organizing his social media presence, it was time to create a marketing plan aimed at improving Rob’s following and producing more, high quality leads. Our team of expert social media marketing specialists, and talented SEO-driven writers will produce new and original content for BR Masonry’s social media accounts on Instagram & Facebook. We’ll also be producing several engaging latest news articles on his website per month, driving up his website’s SEO standings and giving his business more credibility! If you’re looking for the perfect addition to your social media and digital marketing plan, the Surf Your Name team has what it takes to get you more followers and drive more visitors to your website. Our number one goal is producing results and if you aren’t marketing your website, chances are that your website isn’t making you money! Call us today at 515-4WEB-GUY (515-493-2489) for a FREE, no obligation consultation to see how we can improve your social media presence and help your website live up to it’s potential!